This next post is a great example of unique situations you can find throughout your district. This was found by a group of guys on a truck company that is aggressive about knowing their district. This specific building was found in an area of our city that backs up to some hillsides and drainages. It is a unique area of terrain surrounded by urban infrastructure on all 4 sides. They found something that is all to common (poor ladder access) and at least gave themselves a game plan. The area in question has a high chance of needing ladder rescues, especially at night due to the location of all the bedrooms, and the common wood stairwell on the front side. There is one way out, and if it’s on fire they are all heading to the back windows and balconies. Below are the pictures, and then a quick narrative from the driver of the truck company that found this. These apartments are located in T10’s still district off of York and Academy. I first discovered them several years ago when stationed at 14’s. This complex consists of four separate multiplex apartments. Truck operations will be challenging for several reasons. First, apparatus access is very limited. There are two very narrow drives that access the small parking lot in the middle of the four buildings. Truck companies will not be able to access the two southern most buildings via the west driveway because very low hanging power lines will prohibit the truck from gaining access. Once accessed the parking lot is very small and depending on the number of vehicles may require a short set for aerial use. 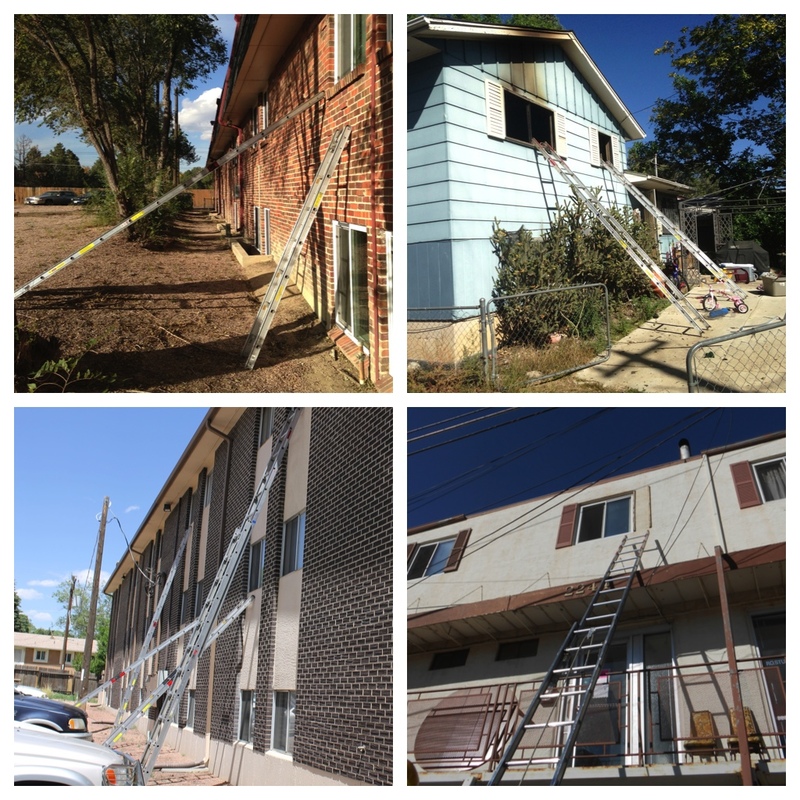 The biggest problem trucks will face is ladder access on the rear of the two southern buildings. The back of these buildings face a park and drainage. 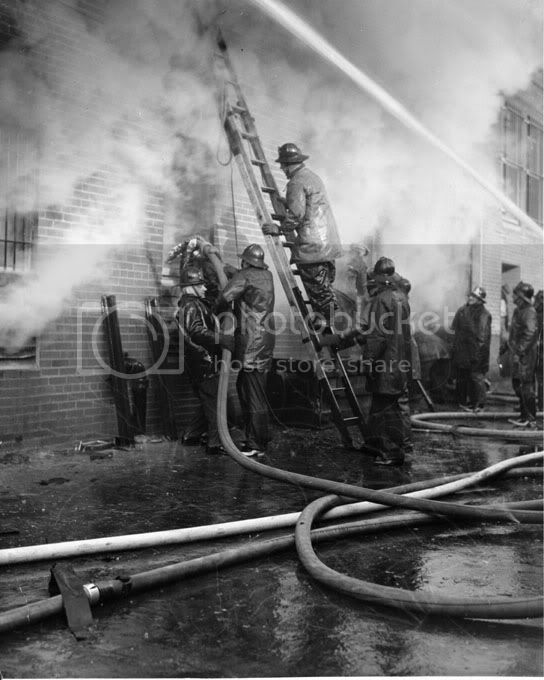 The drop off and terrain are so severe that traditional ladder access is extremely difficult. 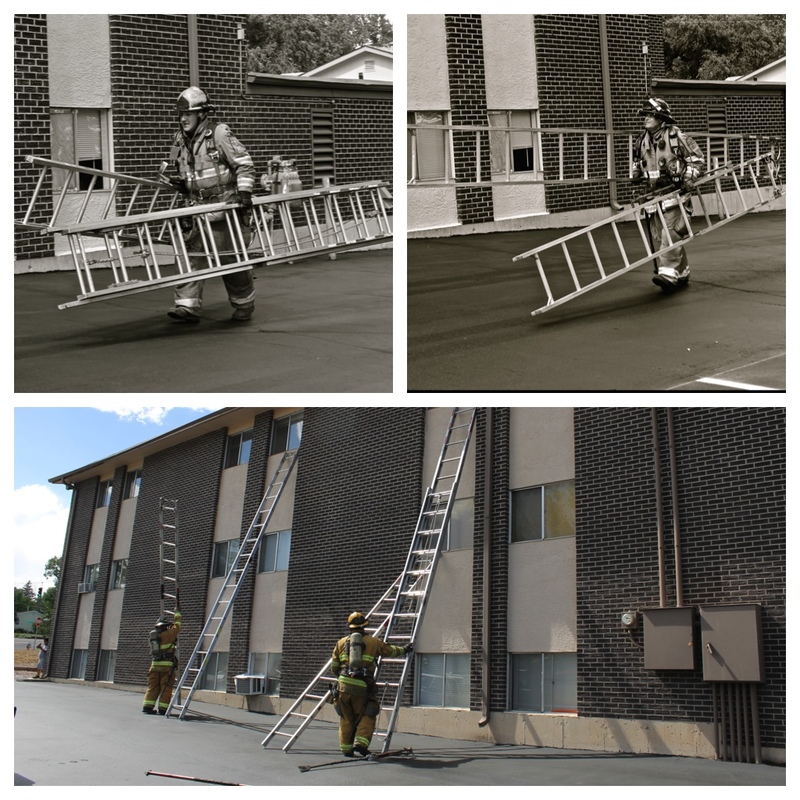 Several possible alternative rescue scenarios exist, including using a roof ladder with hooks extended like a pompier ladder and hanging it from the balcony or window. Using the roof hooks to secure the ladder may be unconventional, but actually gives you a fighting chance at keeping the ladder in place while bringing victims down. You can still attempt to give yourself a climbing angle but with such uneven terrain the hooks will prevent that ladder from sliding down the slope of the hill.